Here is another night photography approach, but I actually shot the photo during the dark autumn evening, not really at night. The photo was taken at the same day when I shot the other one. But this time I don’t show you the front of the historical district, but a scene that I shot directly in this district. As you can see, lot’s of brick stone buildings, and a beautiful cobblestone street, that’s really what our historical district is about, until a hipster architect is at work again to modernize an areas again. 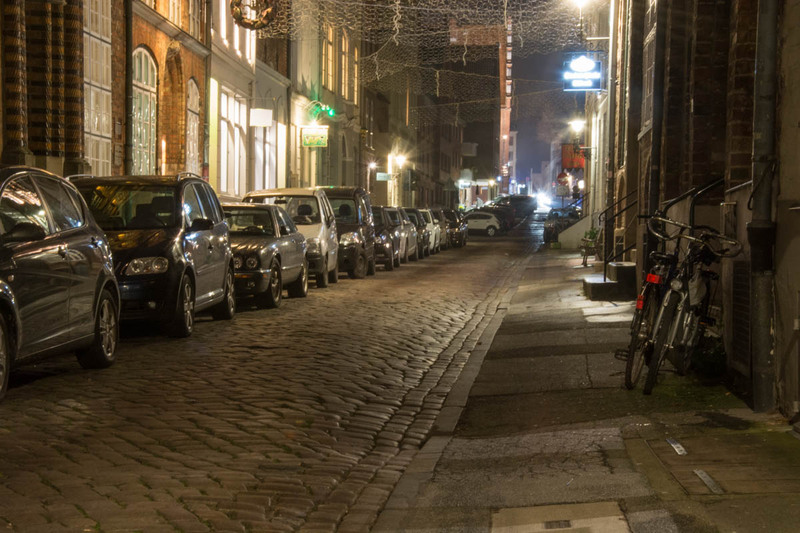 But for now, Lübeck still has some old streets with charm. Very nice photo Dennis, dusk is a good time to take photos in the city.